Roger has been a Hellerwork Structural Integration Practitioner for 39 years and teaches The Conscious Movement Workshop here. Hellerwork S.I. is deep hands-on neuro-myofascial bodywork, movement education and body-mind dialogue that realigns posture, releases stress and pain and re-educates the body mind connection to create an extraordinary state of well-being. 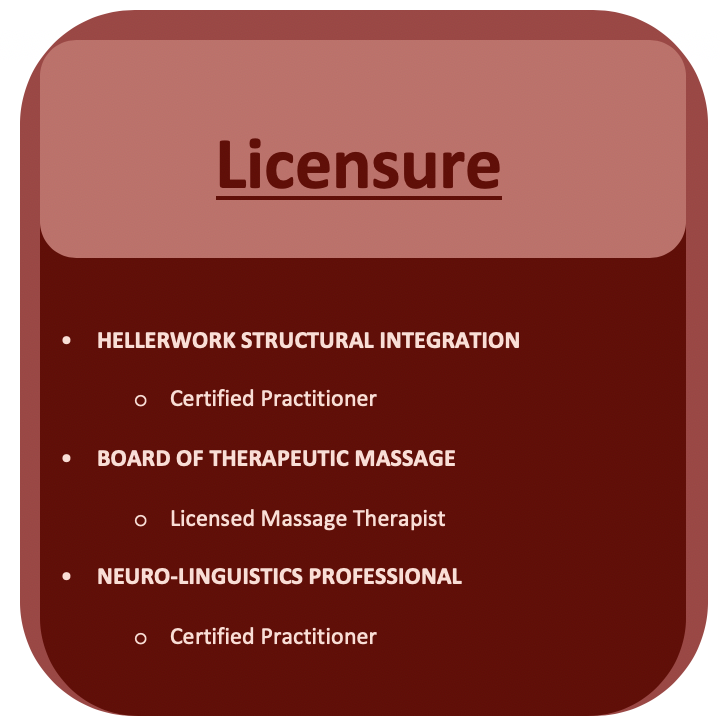 He is a Licensed Massage Therapist and a certified Neuro-Linguistics Professional (a body-mind communication and therapy education). Roger is an expert at training people to experience their Body-Mind connection. He has dedicated his life to educating people how structurally realigning the human body affects awareness, psychology and their personal effectiveness. His purpose is to assist people to experience the brilliant energy of who they are, their presence, and how they can transform their health and their lives. This work is designed to have you experience how becoming more centered, balanced and present in your body can shift your energy, attitude and intention. Shifting your body can be a major key to releasing pain, generating greater health, unleashing your personal power and creating a powerful new approach to life. and The 7 Day Body.